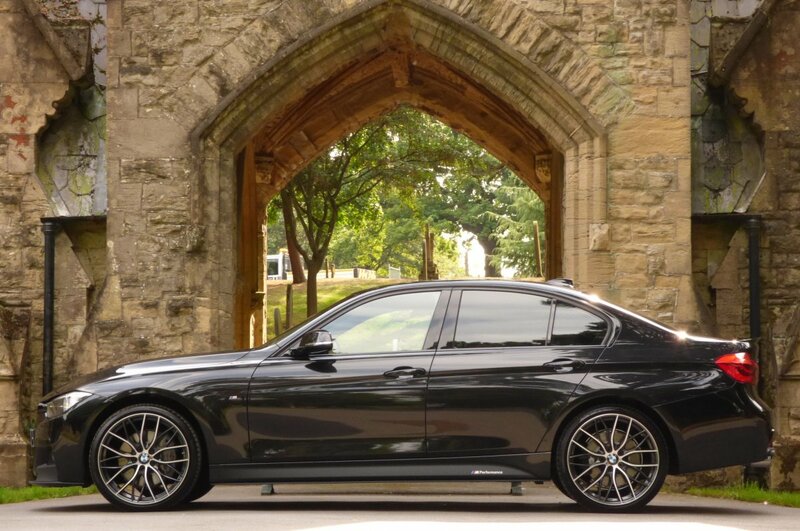 Ever Since The May Of 1975 The German Car Manufacturer Has Offered Us The BMW 3 Series, With This Mid Ranged Luxury Vehicle To Move This Prestigious Brand Forwards After The Finish Of The More Squared Version Of The BMW 02 Series And Still After Forty Three Years Since Its First Creation, This Model Has Become One Of The Business Main Success Stories. 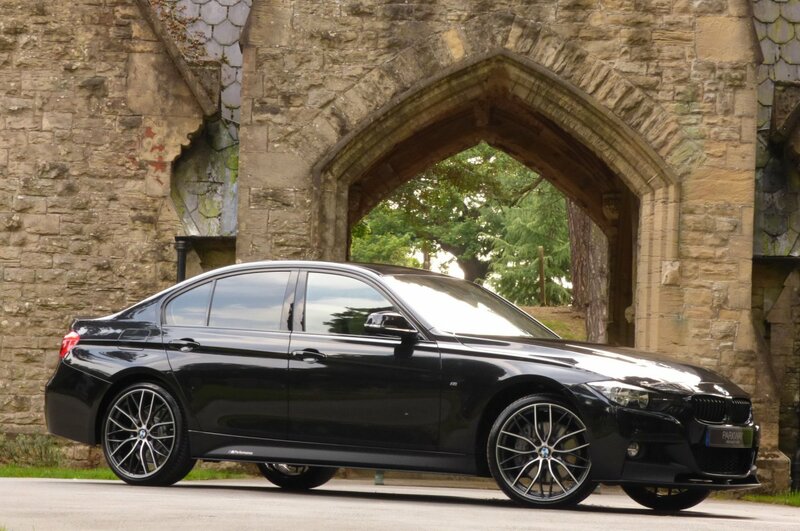 The BMW 3 Series Would Offer Those Global Clients A More Modern Take From Its Predecessor, With Stylish Exterior Designs, First Class German Technology And One Of The Ultimate Driving Experiences For Those Purist Of Petrol Heads, With Every One Of Seven Generations To Have A Firm Following From All Four Corners Of The Globe, With This Model Being One Of The Most Recognised Vehicles Of All Time. 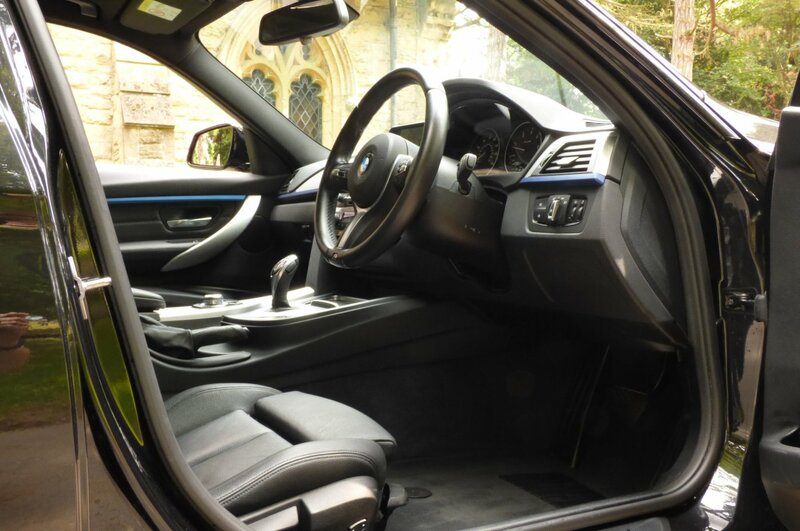 Everyone Will Have Their Own Favourites From The Past Models, With The Delightful Now Valuable BMW E30 Offered In 1982, To The Powerful E46 That Arrived In 1998, With Each Model Evolving Over Time, But All Still Having Very Strong Similarities To Past Generations With Sweeping Bonnet, Short Front Overhang And Long Wheelbase Platforms. 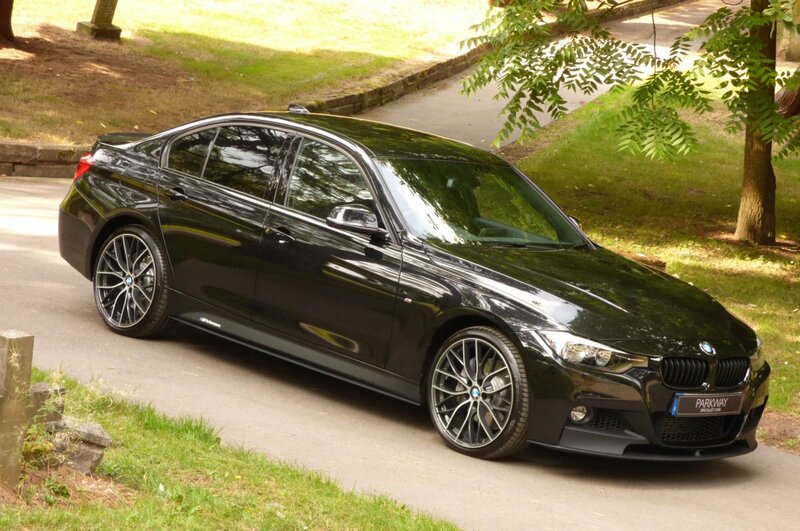 The Sixth Generation BMW 3 Series F30, Designed by Christopher Weil Under The Watchful Eye Of Design Chief Adrian Van Hooydonk Was First Introduced In Munich On The 14th Of October 2011 And Would Still Follow Similar Design Characteristics, However The Company Decided To Make This All New 3 Series Slightly Bigger On All The Dimensions Compared To The Past E90, With Introductions Of More Powerful Engine Options And A Whole Host Of New Technical Goodies That Would Delight New And Old Worldwide Clients.  This Prestigious Sector Is Viewed From All Car Manufactures As A Must To Try And Be The Very Best In This Very Successful Class, With The Likes Of Alfa Romeo, Mercedes Benz And Audi Wanting To Obtain Large Segments Of This Valuable Market Place, But Still BMW Still Seams To Offer A Perfect Recipe To Draw Many Of These Buyers Into This Much Loved Munich Brand. 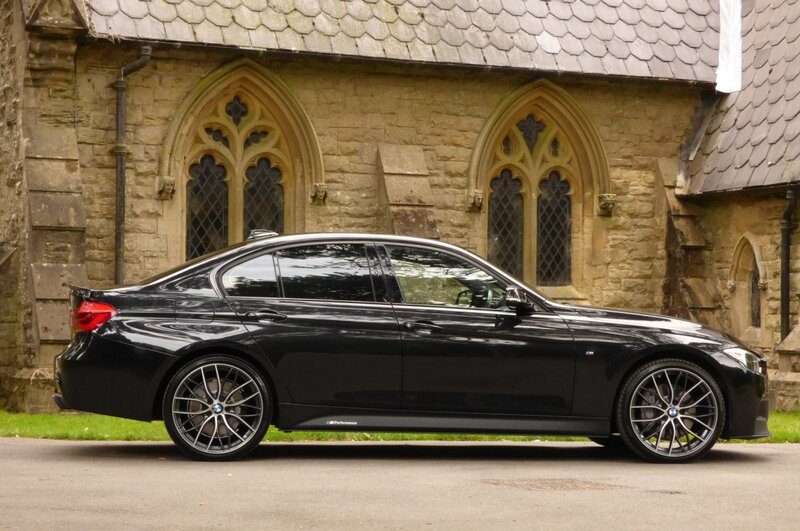 The BMW 335 Was To Be One Of These Higher Options Off The Model Chain, With The 335d To Offer A Remarkable Combination Of Excellent Power Output With Healthy Fuel Consumption, With These Cars To Be Fitted With The Three Litre Twin Turbo Charged Engine, Which Generated A Sensational 308BHP With 465lb ft Of Torque, Capable Of Accelerating From 0-62 MPH In Just 4.8 Seconds, Would Further Climb To An Electrically Limited Top Speed Of 155MPH, With All This Power Harnessed With The Optional All New 8 Speed ZF Automatic Transmission And Was Also Available With The XDrive System That Offered Permanent Four Wheel Drive Capabilities To Further Enhance Every Drive. 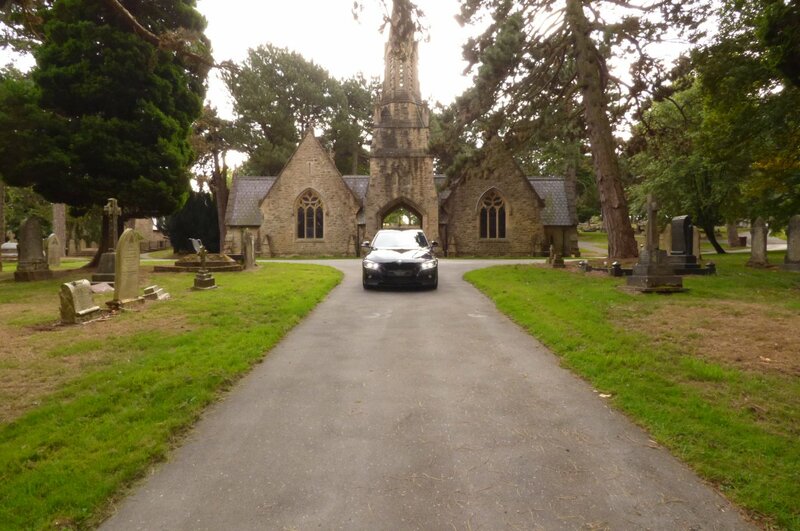 This Striking Example Was First Registered In The September Of 2015 And Since This Date Of First Registration The Car Has Had Just The Two Keepers From New. 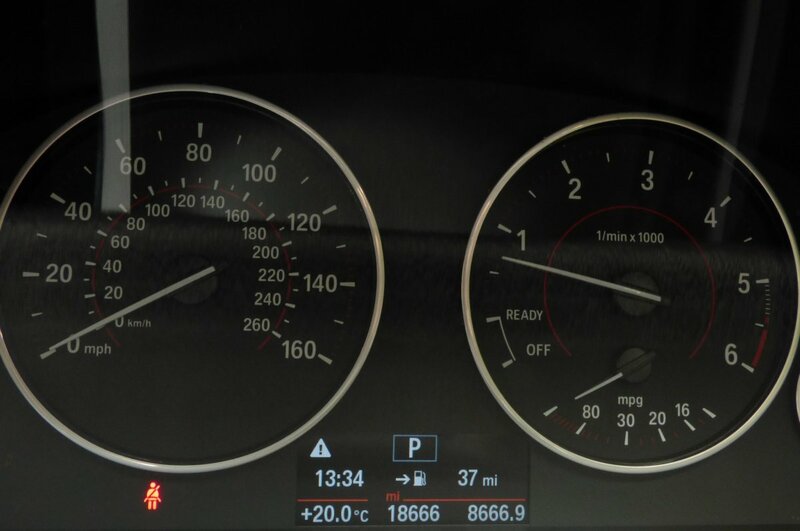 Over The Last Three Years Chassis Number K498882 Has Only Had A Mere 18667 Miles Applied, To Which If We Break This Down Further Is Approximately Just 6222 Miles Per Annum, However Regardless Of This Sensational Current Mileage Reading The Car Had Already Had Its First Service Completed By BMW On The 21st Of September 2017 And Once Sold Will Have A Another Full Service Completed By Our Dedicated Workshops, Prior To That Next Lucky Keeper Taking Charge. 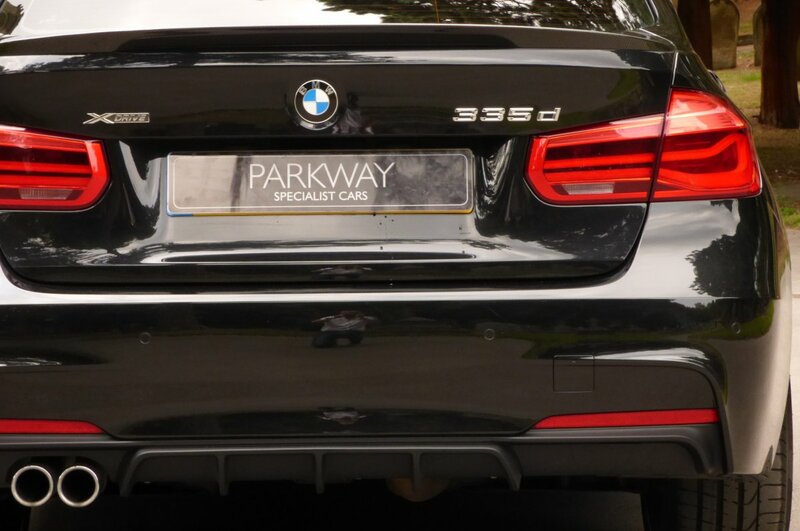 Also Prior To The New Keeper Taking Delivery, This BMW 3 Series Will Be Presented With The Entire Booklet Pack Set, A Fully Cleared Hpi Certificate, A Fully Functional Key Set And The Original Factory Build Card, Which Lists All Those Expensive Important Options Opted For From New, Which Is All Fully In Place For That Next Custodian To Keep And Cherish During Their Own Time Of Ownership. There Can Be No Mistakes To The Interiors Presentation And The Power Available In This Well Spaced, Yet Comfortable Internal Space And Would Make Any Journey Into An Epic Adventure. 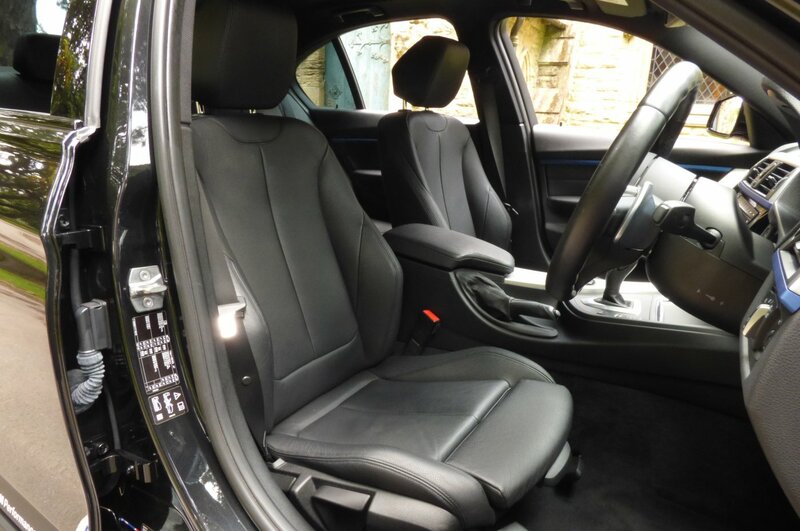 This Car Was Opted From Factory With Black Dakota Leather Sport Seats Beautifully Complemented With Black Twin Needle Stitch Detail, The Black Dash That Wraps Around This Inviting Cabin, Black Carpets, The Black Drivers Centre Tunnel, The M Embossed Aluminium Internal Sill Kick Plates, The Black Leather Bound Three Spoke M Multi Function Steering Wheel With Paddle Shift, The Black Fabric Roof Lining, The Black Leather Trimmed Door Cards, The Internal Electric Blue Fine Band And Decorated With A Mixture Of Aluminium Weave Inlays With Piano Black Veneers, That All Makes This Interior A Truly Special Place To Be Sat. 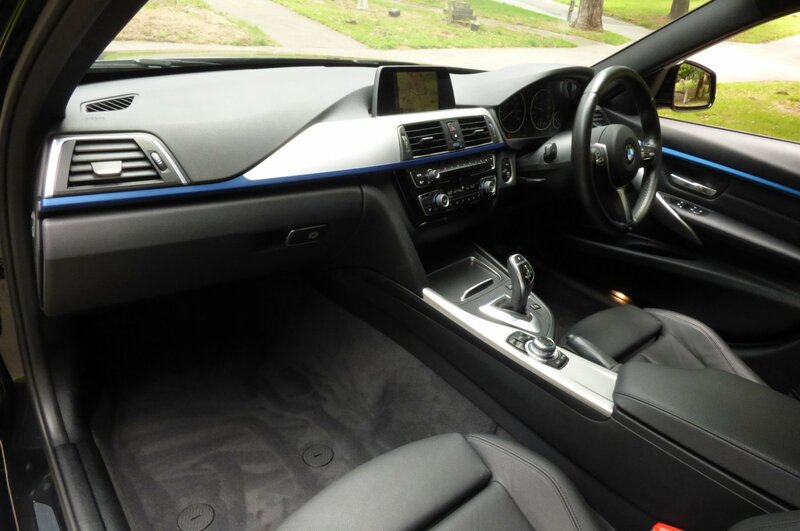 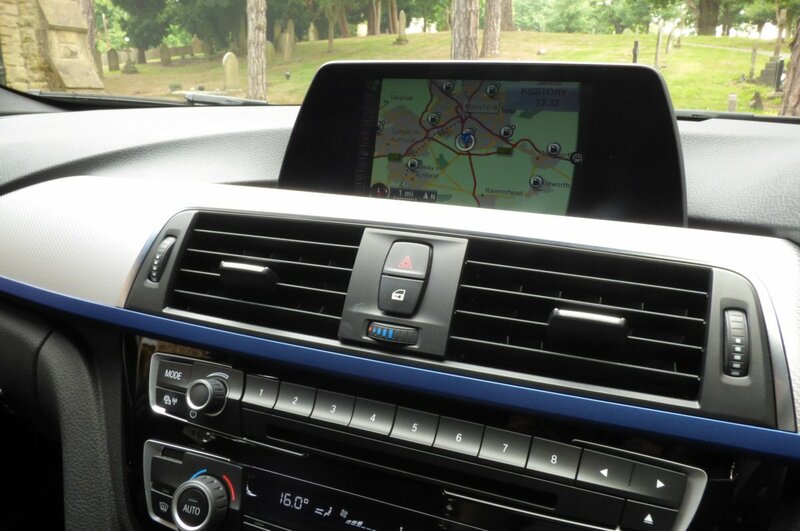 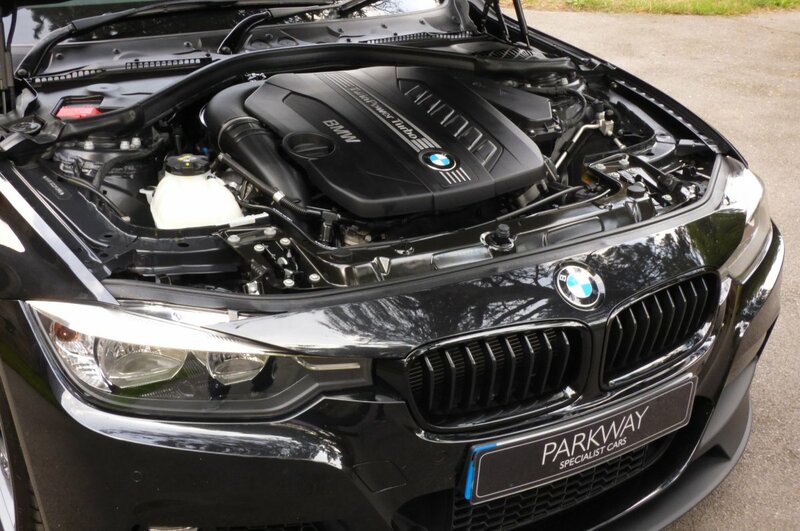 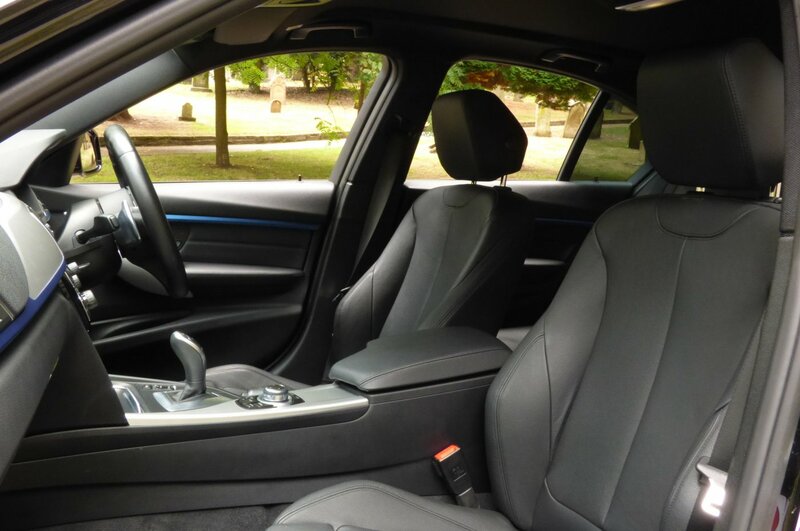 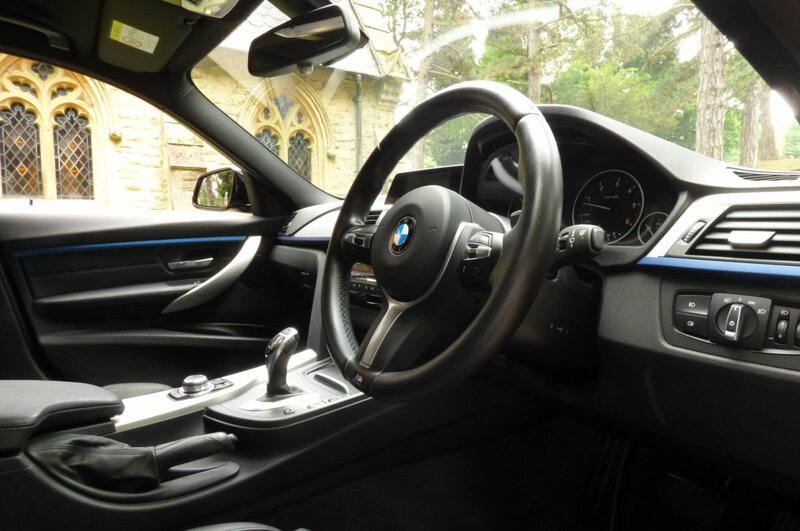 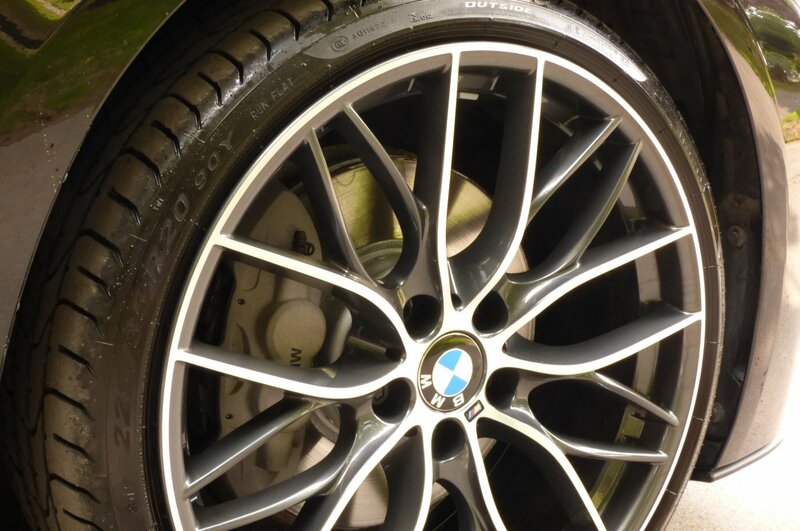 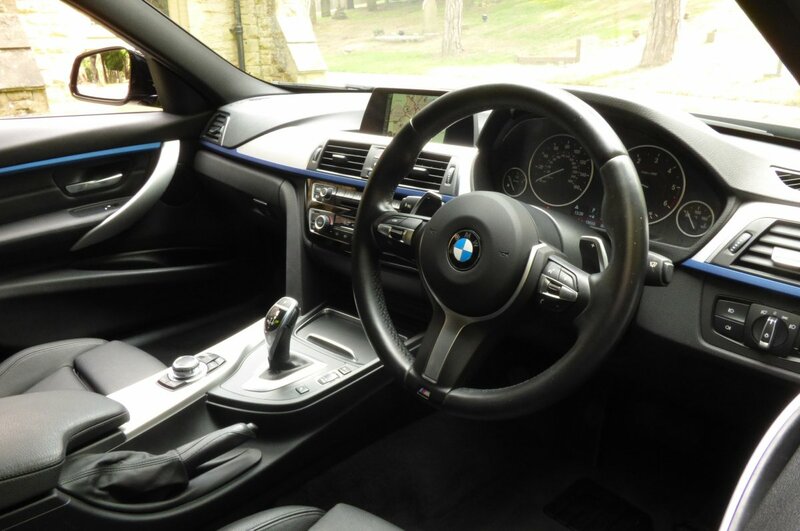 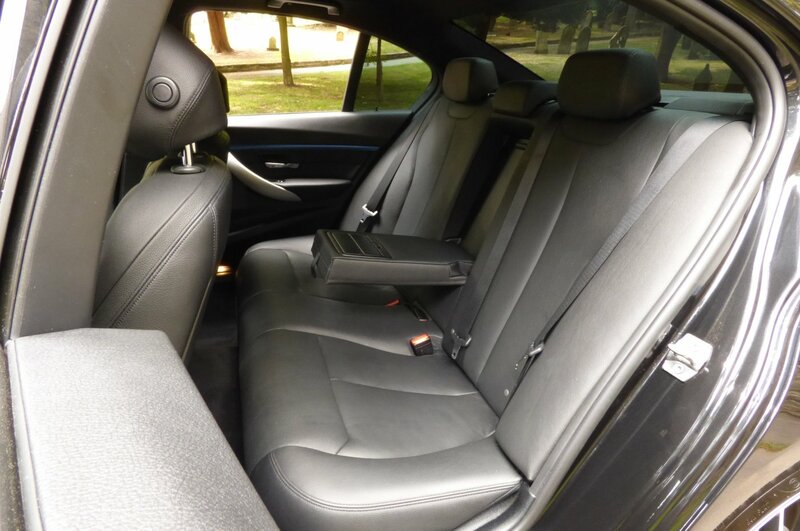 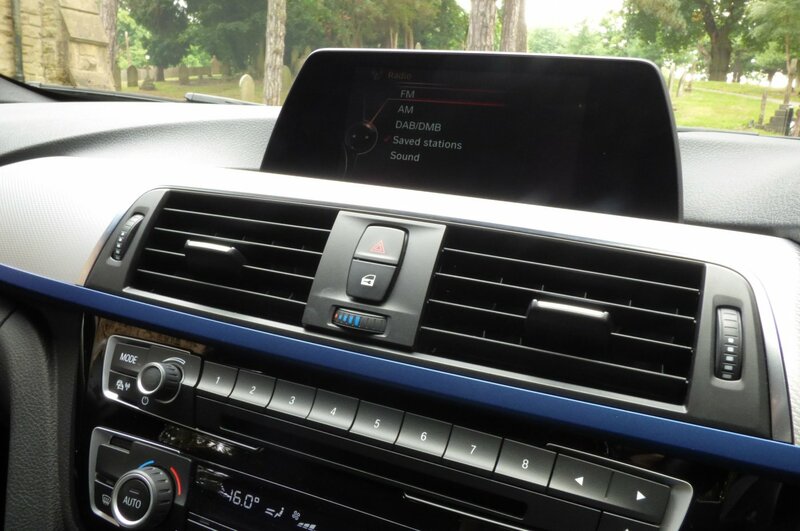 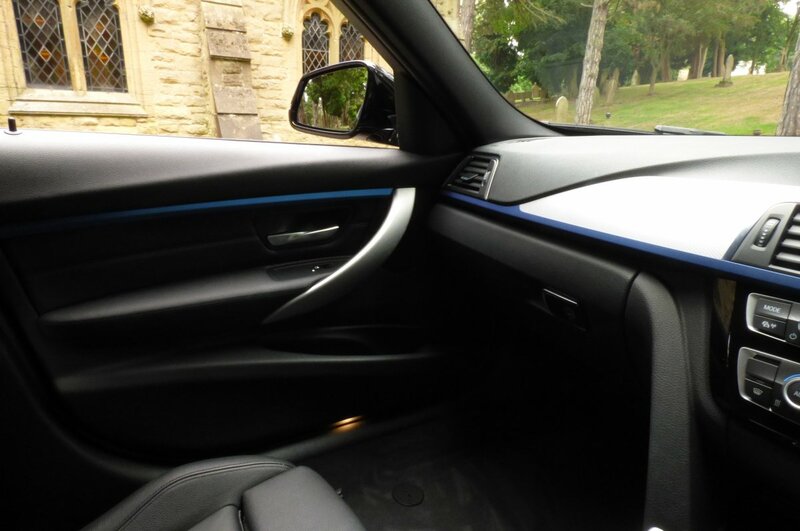 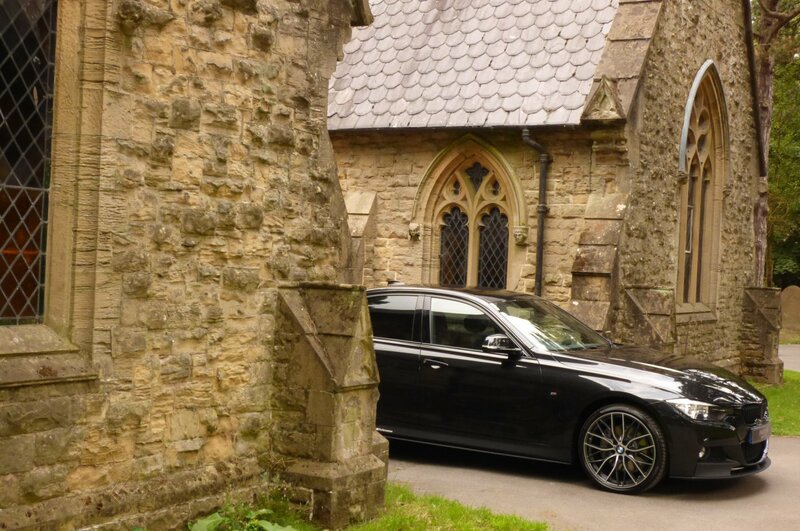 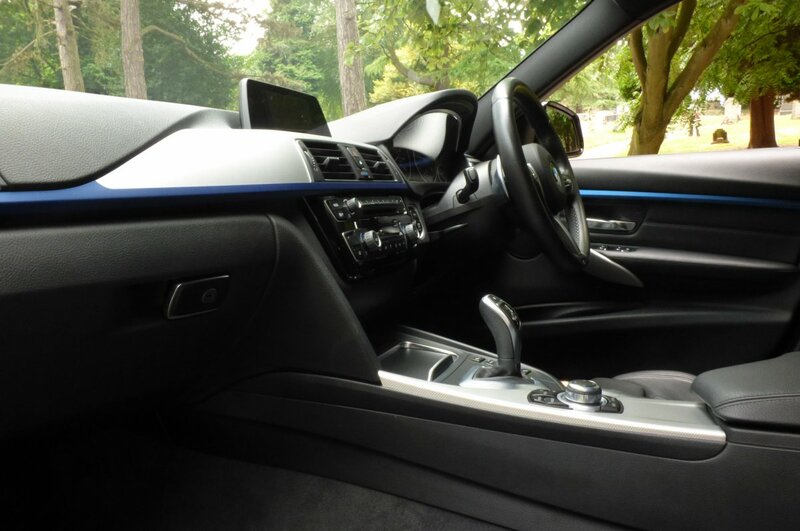 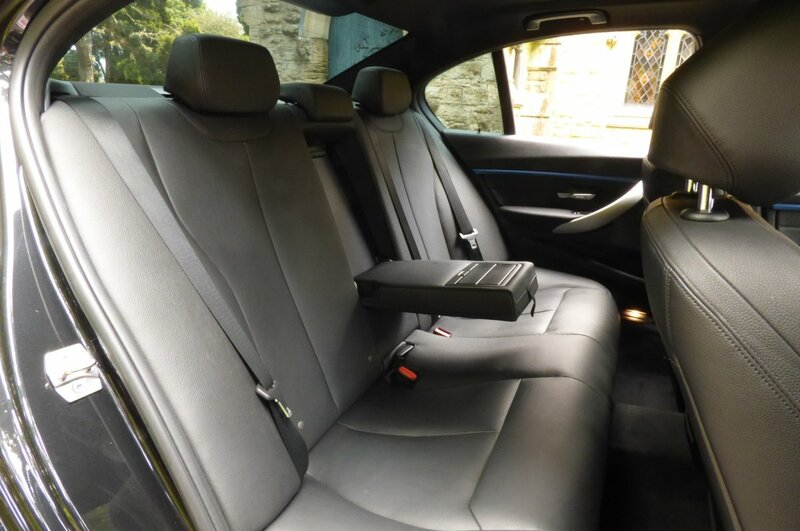 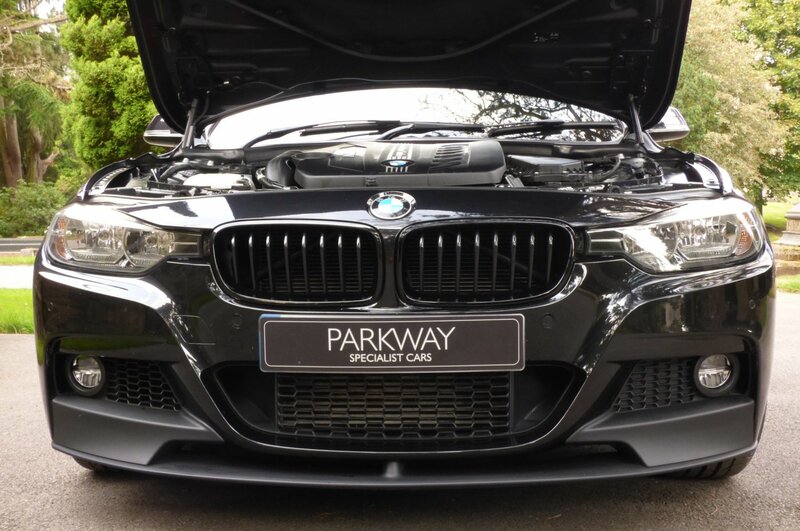 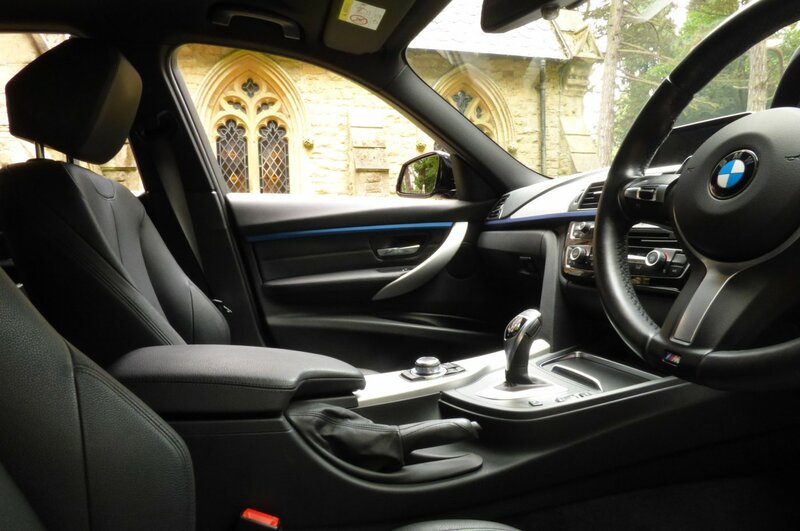 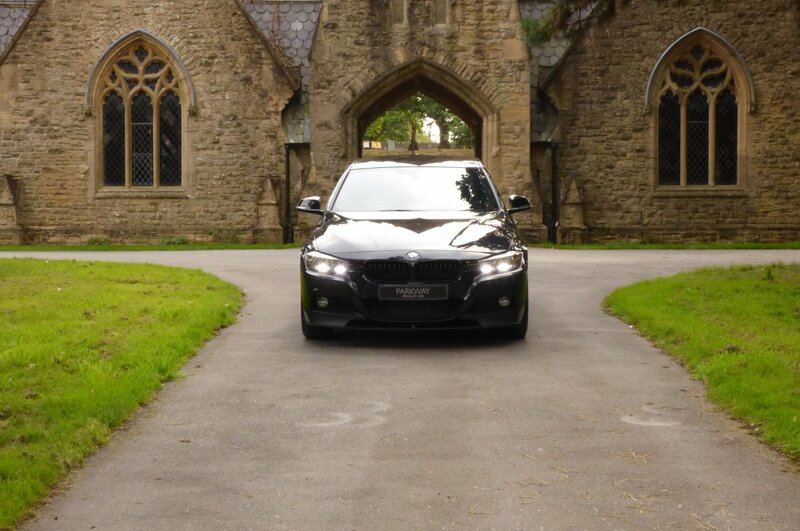 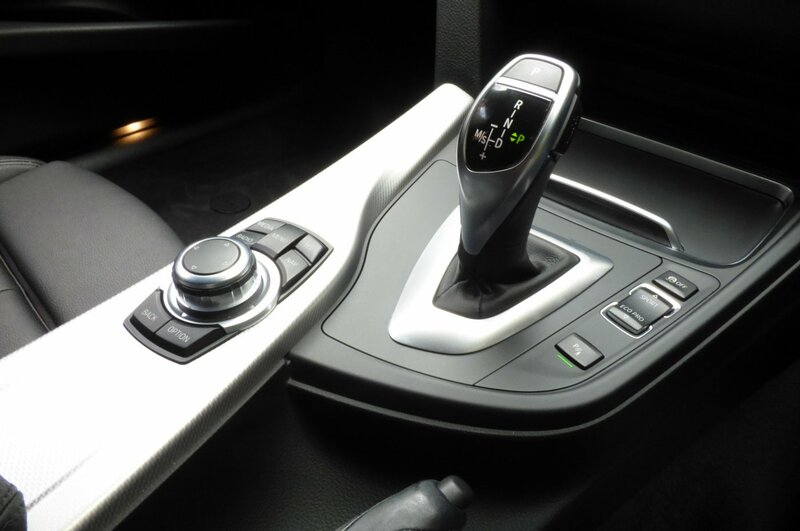 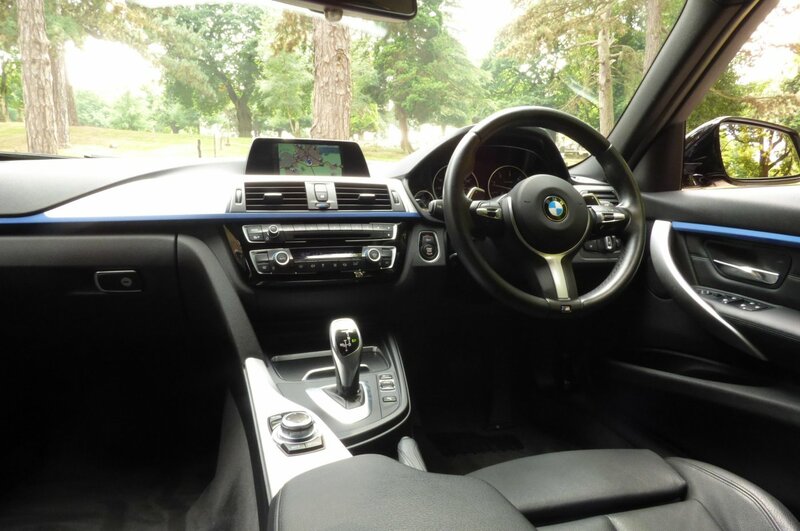 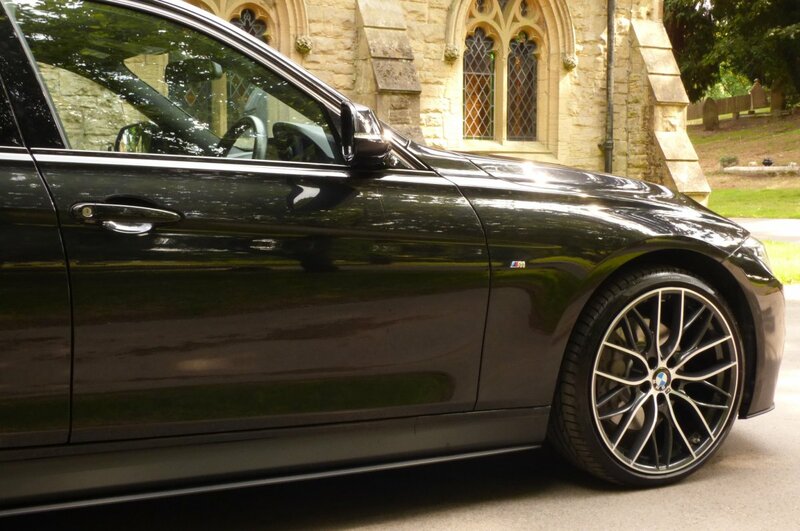 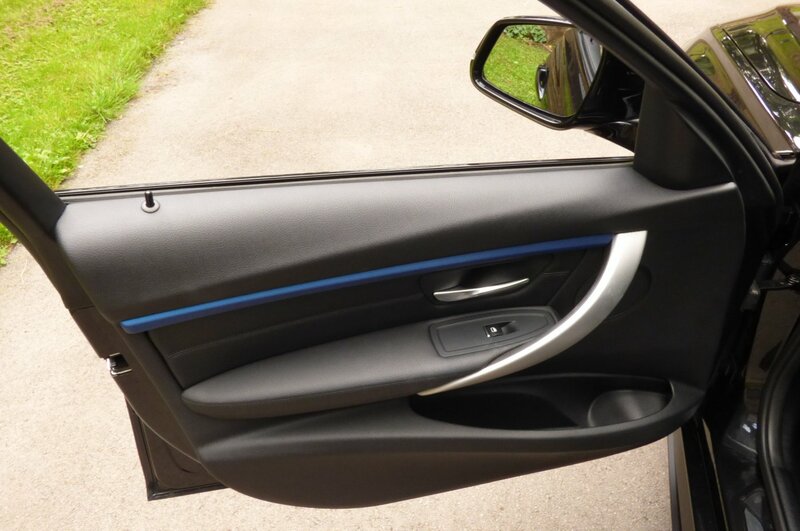 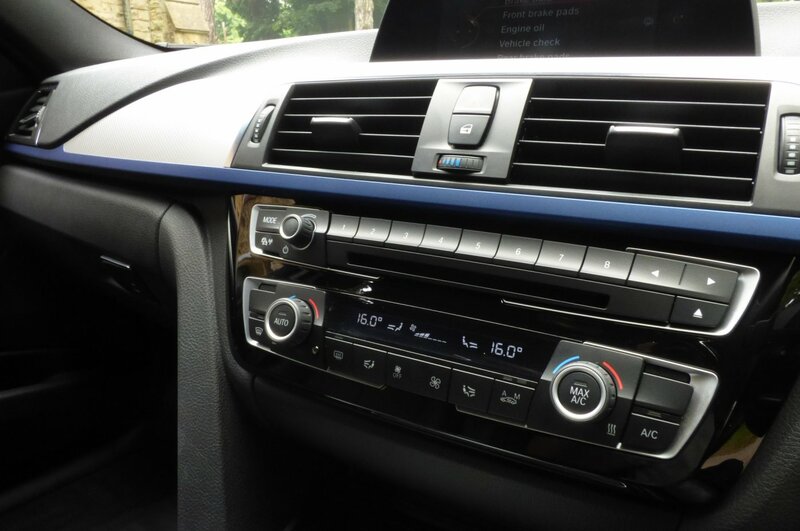 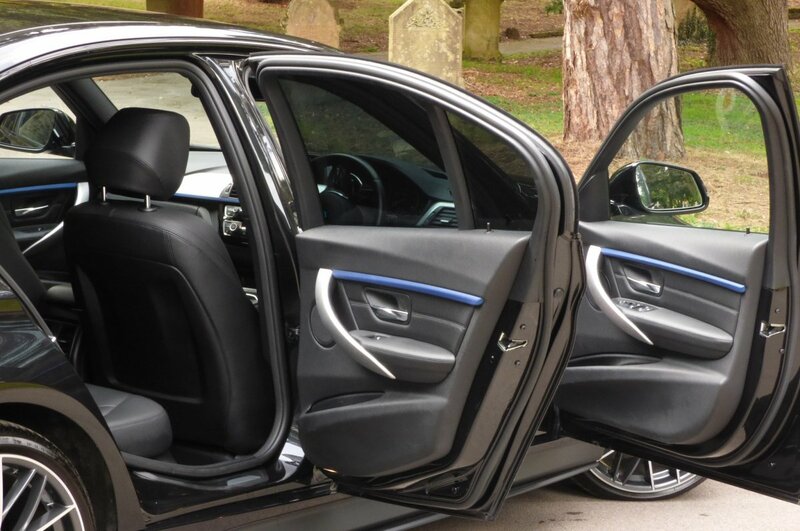 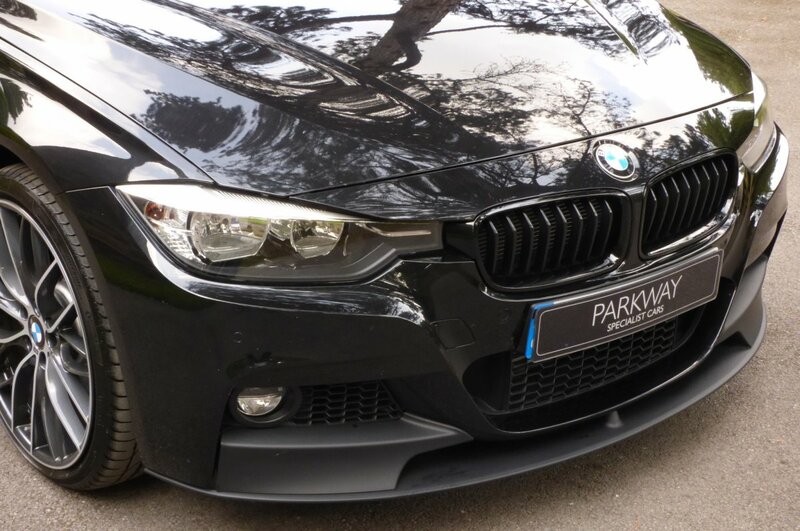 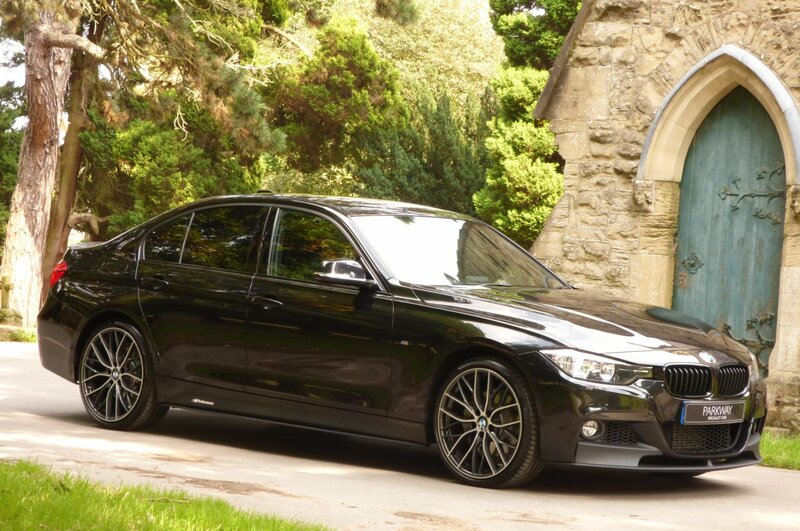 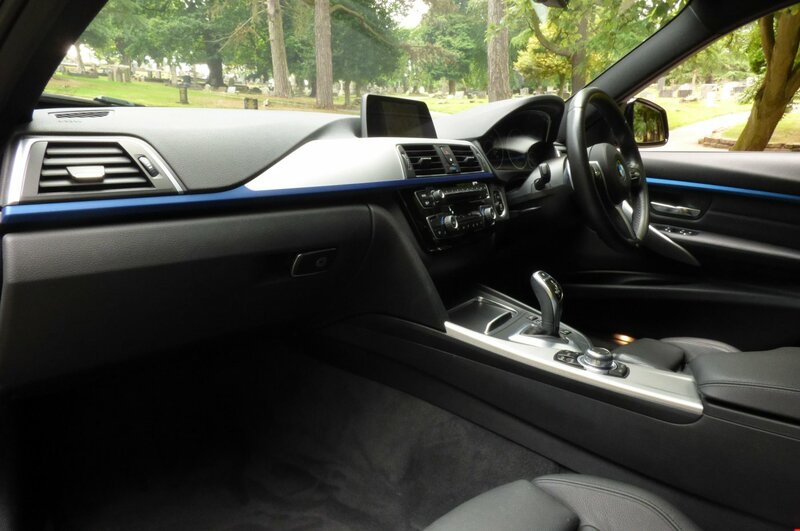 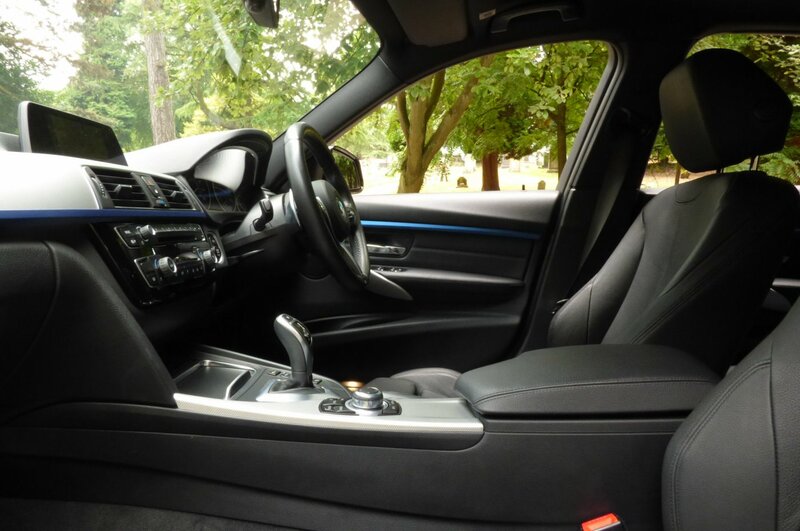 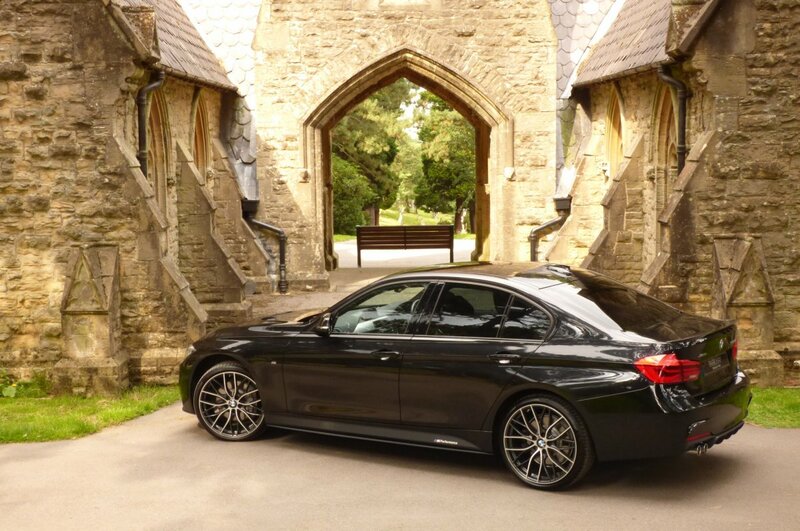 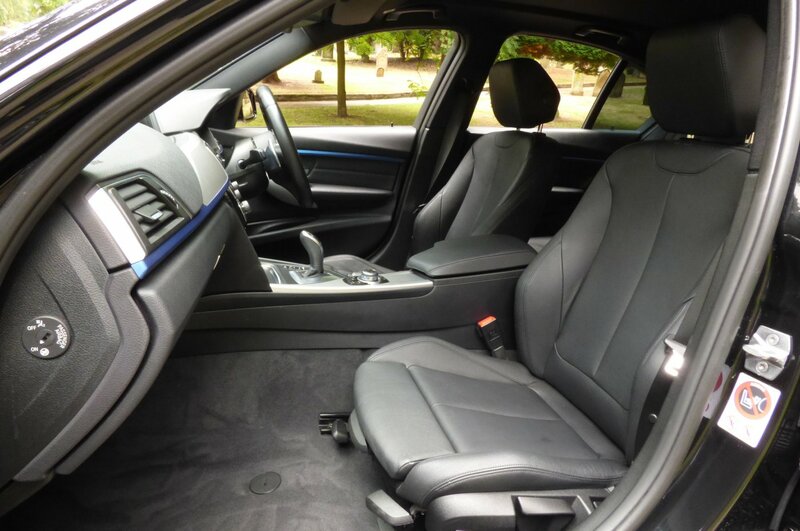 The Car Also Boasts An Excellent Level Of High End BMW Technology, Meaning That Every Trip Is Highly Enjoyable And Perfectly Controlled No Matter The Distance Of Your Journey. 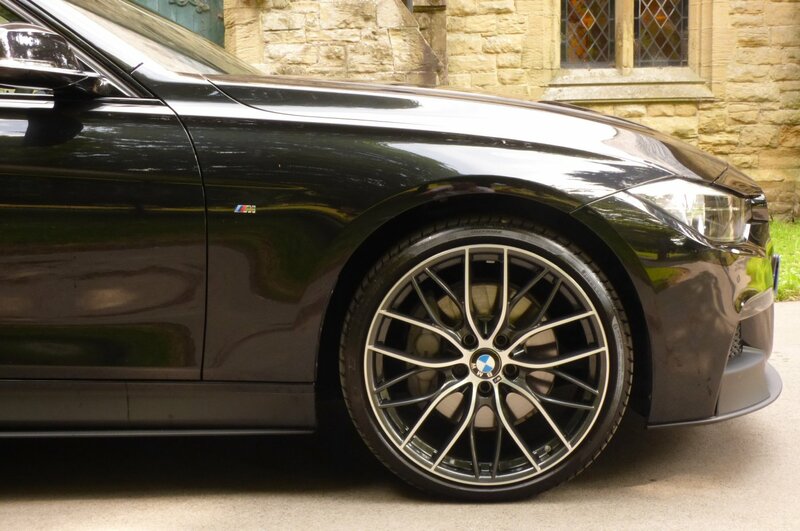 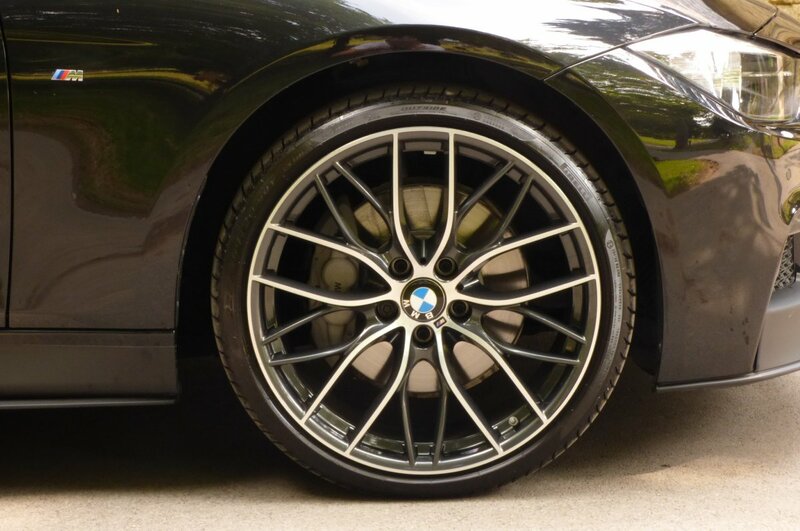 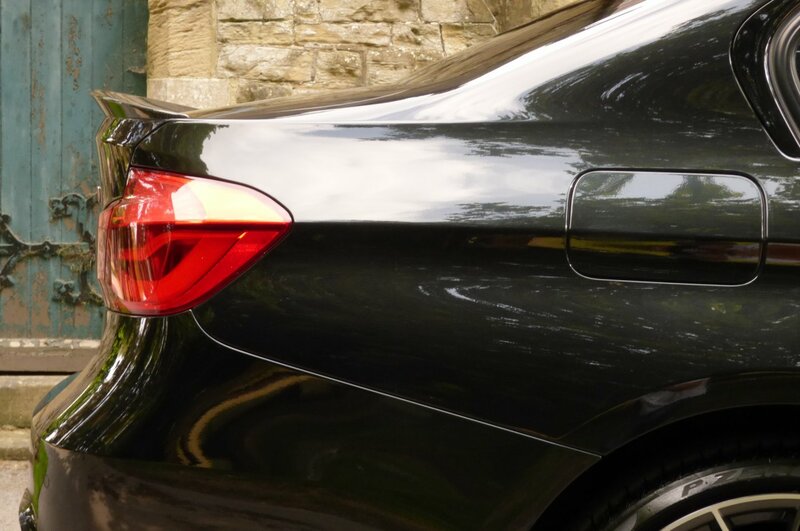 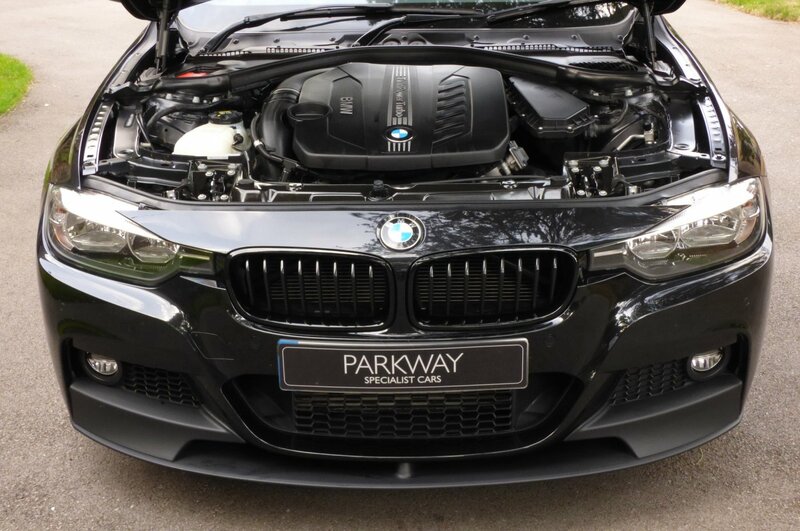 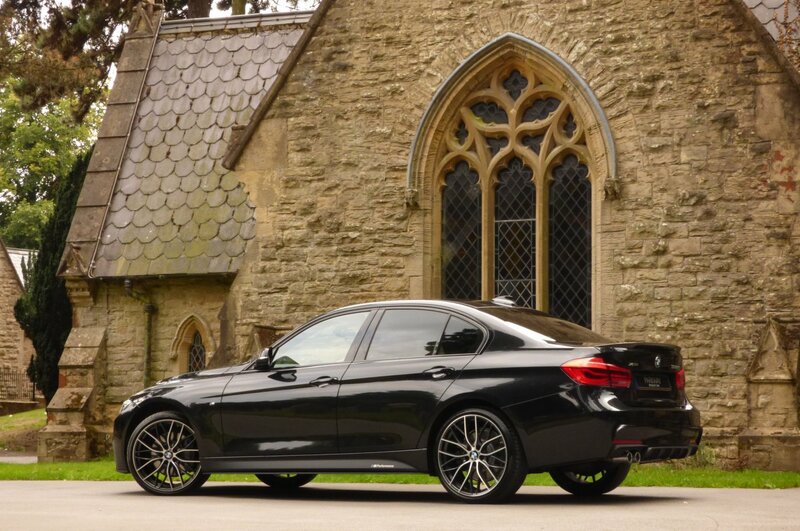 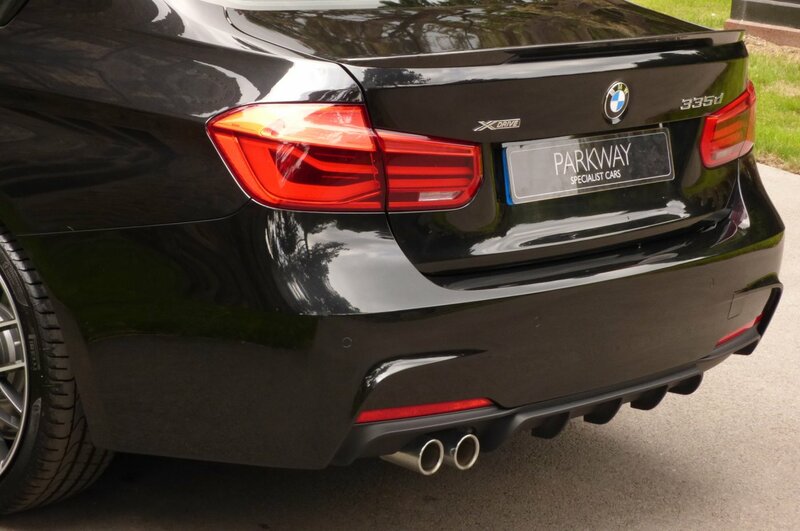 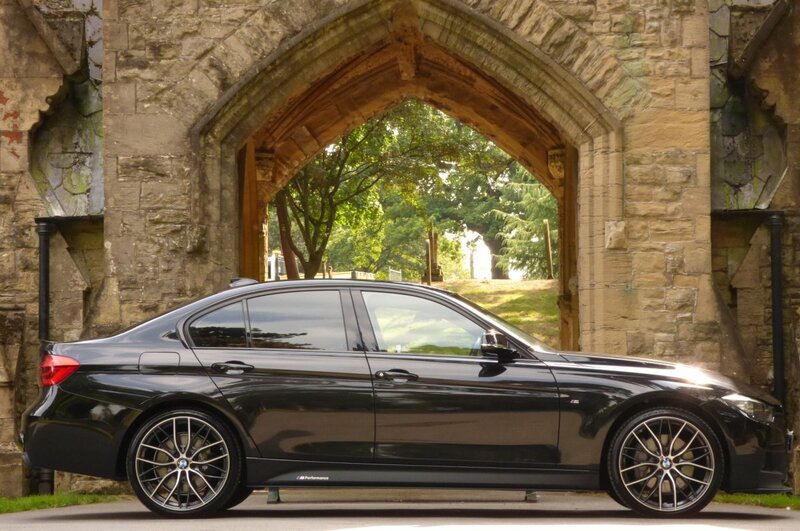 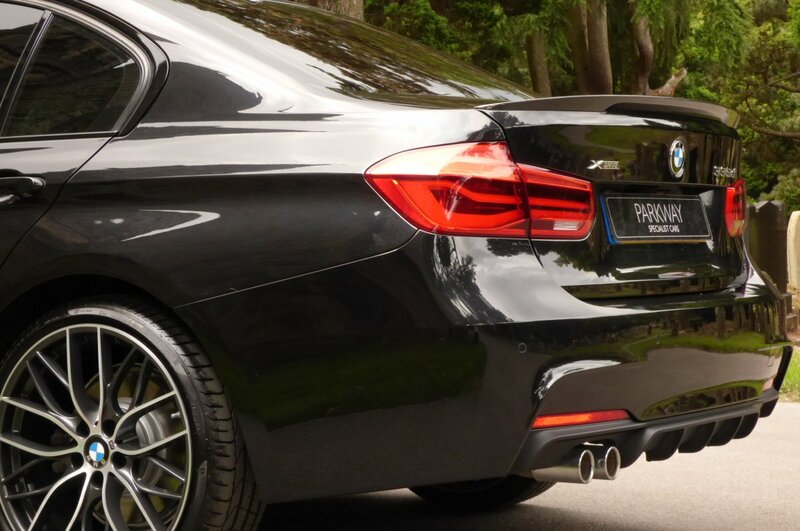 The Aggressive Sculptured Body Is Presented In The Black Sapphire Metallic (475), With This Gleaming Paint Finish Perfectly Demonstrating Exquisite BMW Lines, Those Powerful M Curves And Those Subtle Exterior Body Trim Components Of The BMW Night Package. 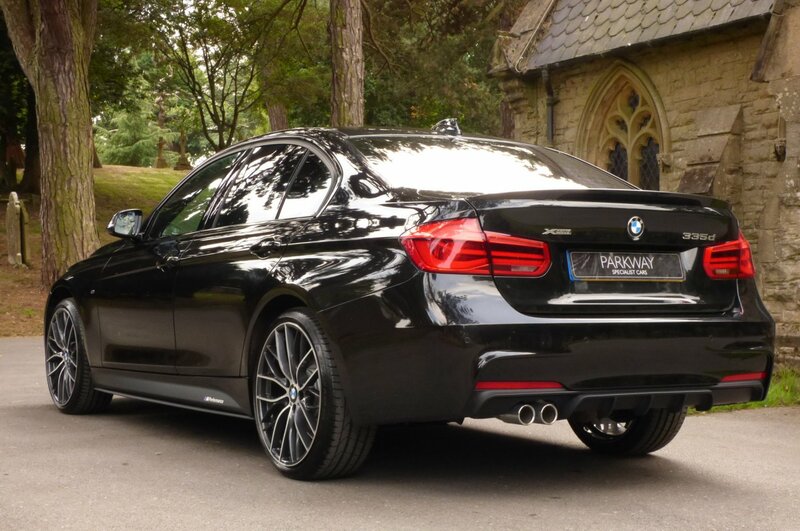 Further Exciting Treats Are Showcased With The Unmarked Diamond Turned 20" 405m Design Multi Spoke Alloy Wheels Which All Sit On Branded Tyres, The Blackened Sport Side Sills Embossed With M Performance, The Blackened Hexagon Lower Bumper Front Grille, The Chromed Tipped Twin Exhaust Pipes, The Optional Carbon Fibre Boot Lid Spoiler, The Chromed M Badges On The Front Wings, The Blackened Rear Lower Bumper Valance, The Factory Sun Protection Privacy Glass, The Colour Coded Roof Mounted Shark Fin, The Bright Silver BMW Embossed Brake Calipers, The Gloss Black Front Kidney Grilles And Finalised With Various Chromed BMW Motifs, That Complement This Stunning Vehicle Stance. 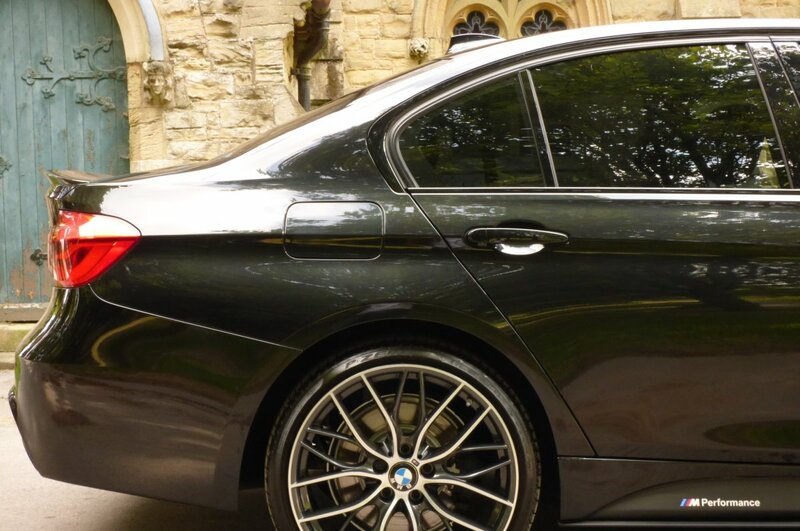 From Every Given Angle This Example Looks Staggeringly Beautiful And Would Be Well Suited For That Daily Commute Into The City Or As The Ideal Car To Take The Family Across Europe. 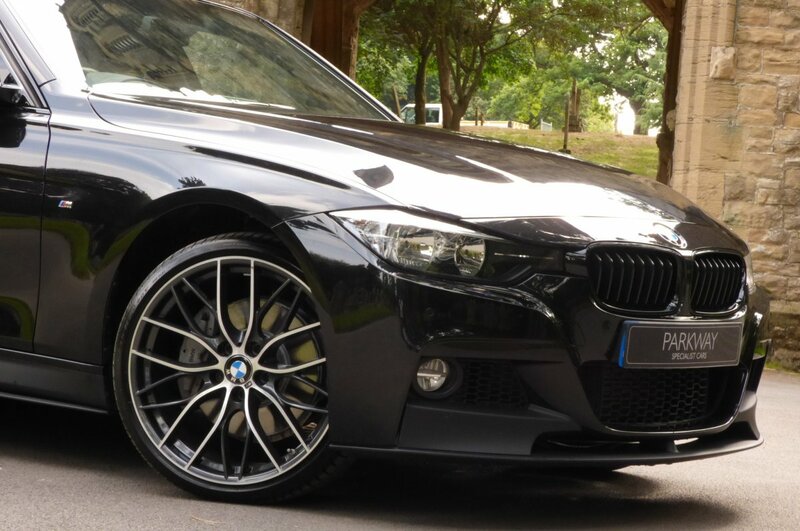 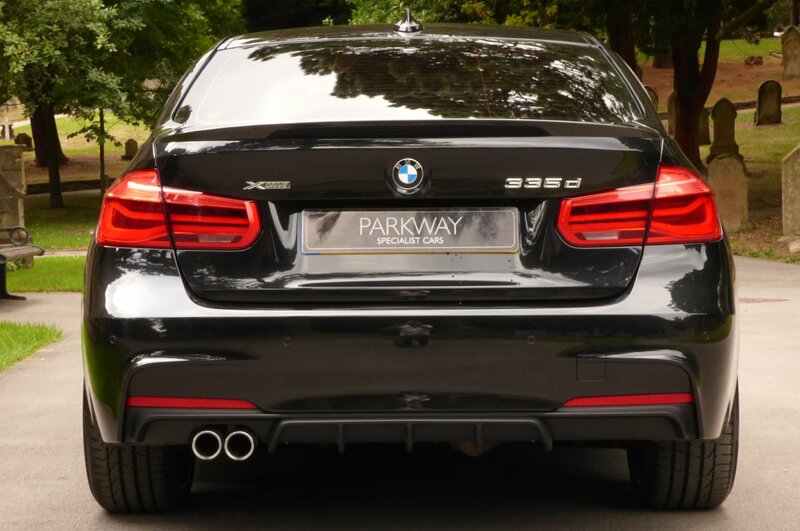 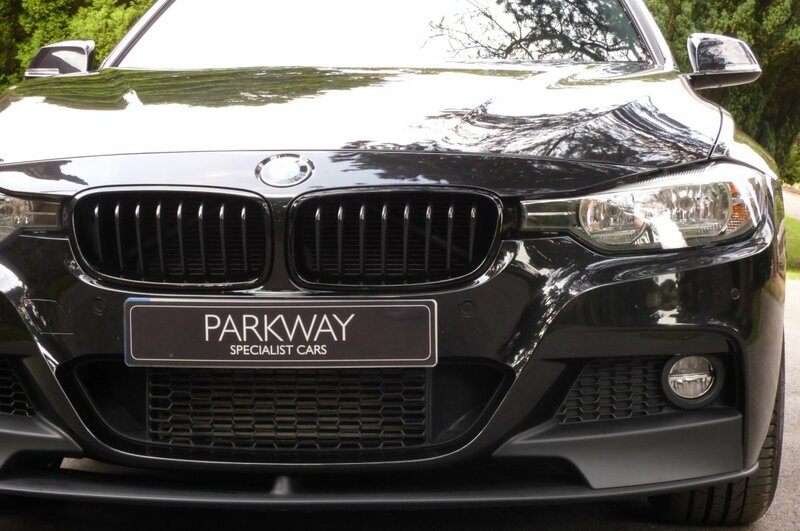 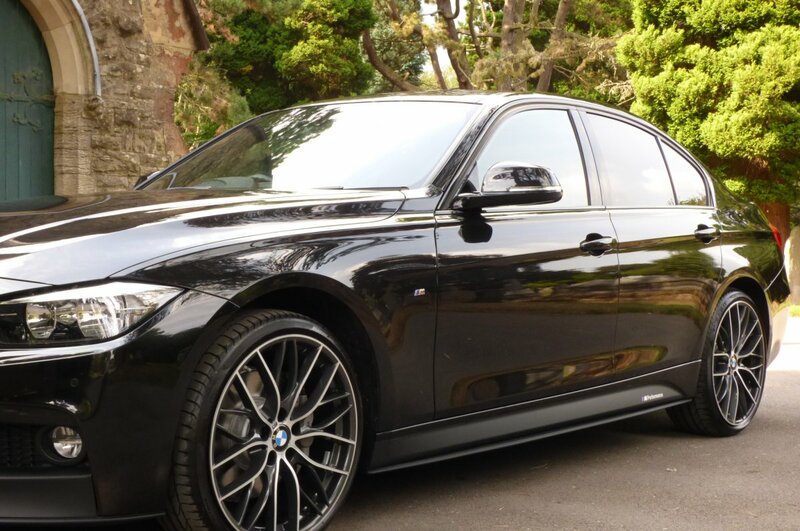 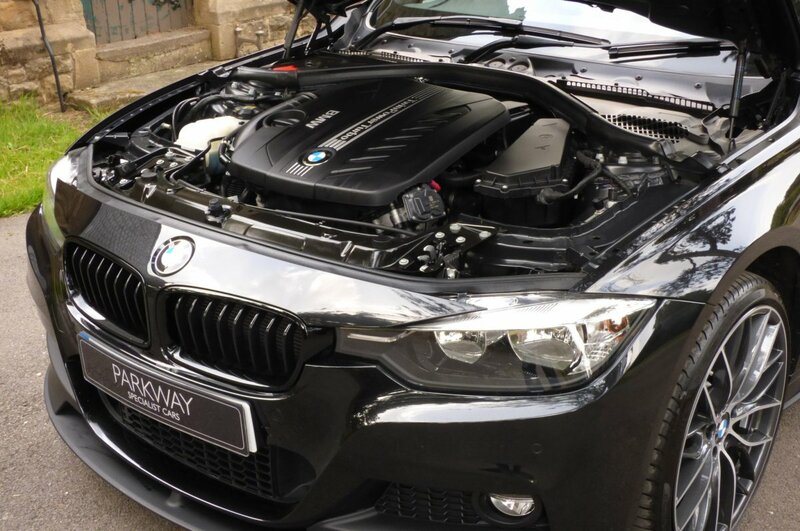 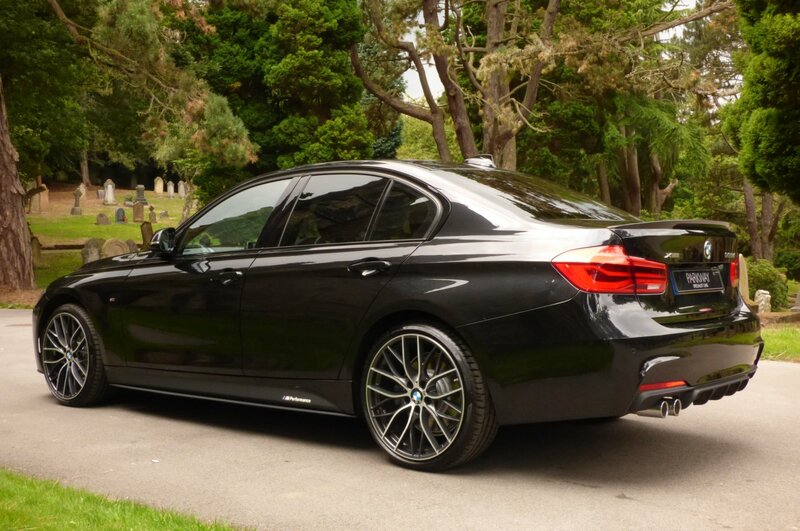 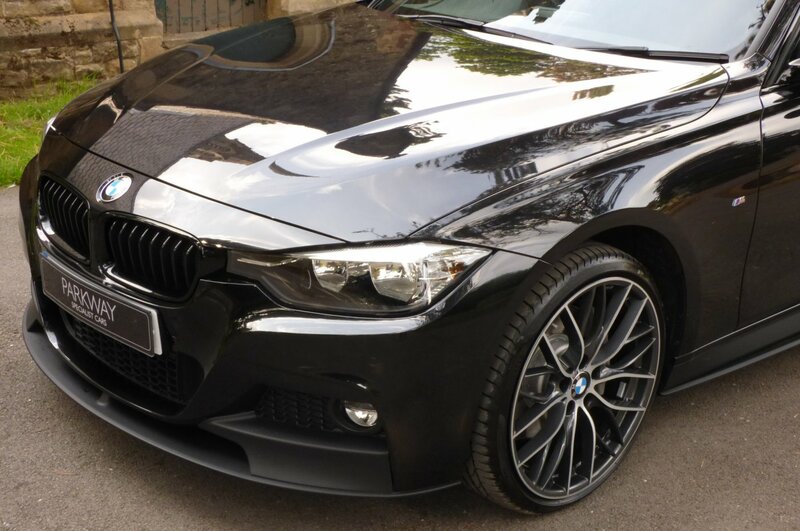 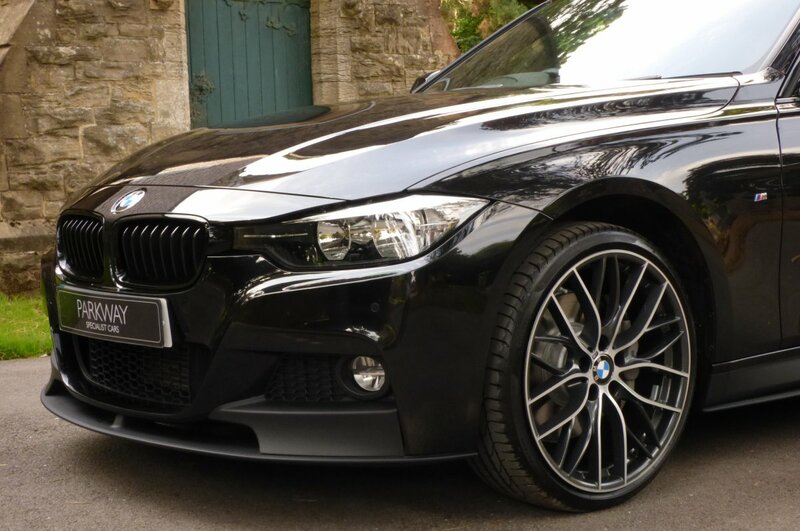 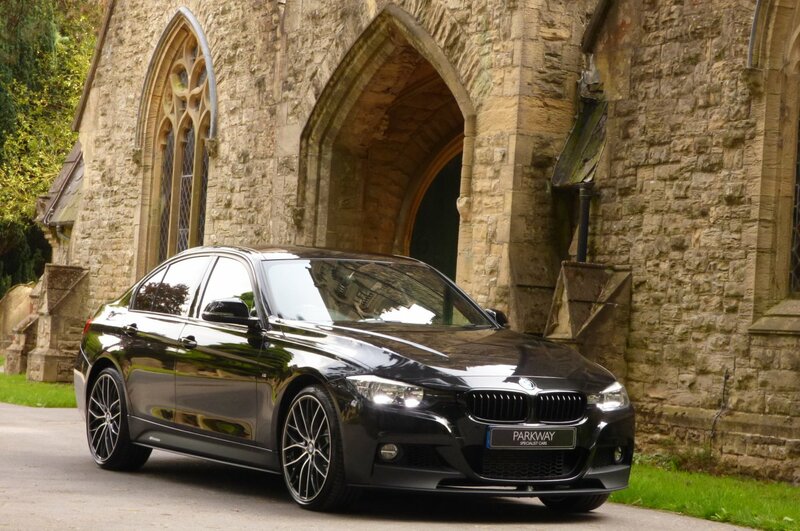 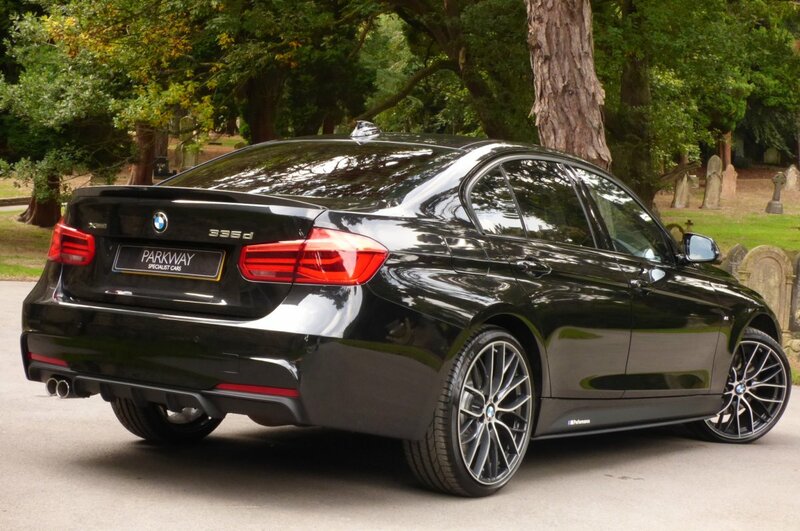 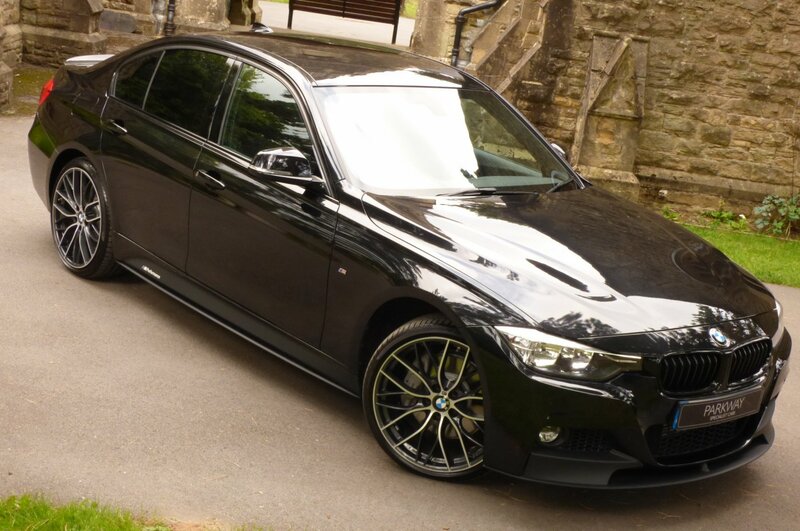 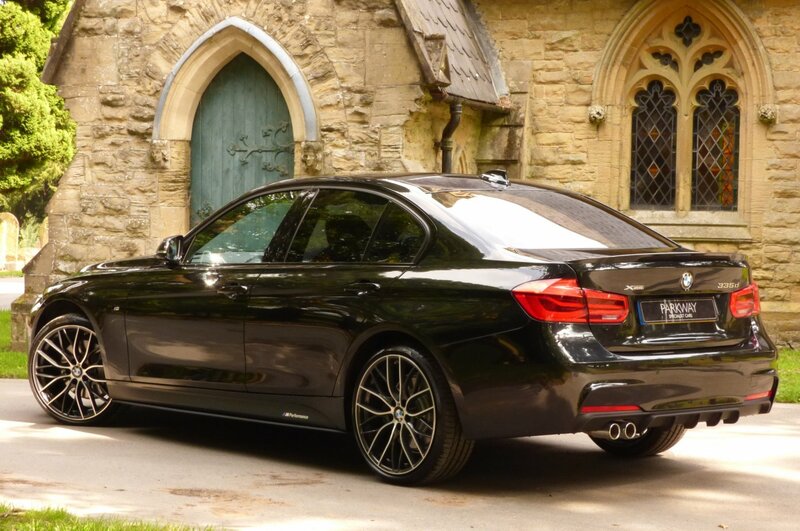 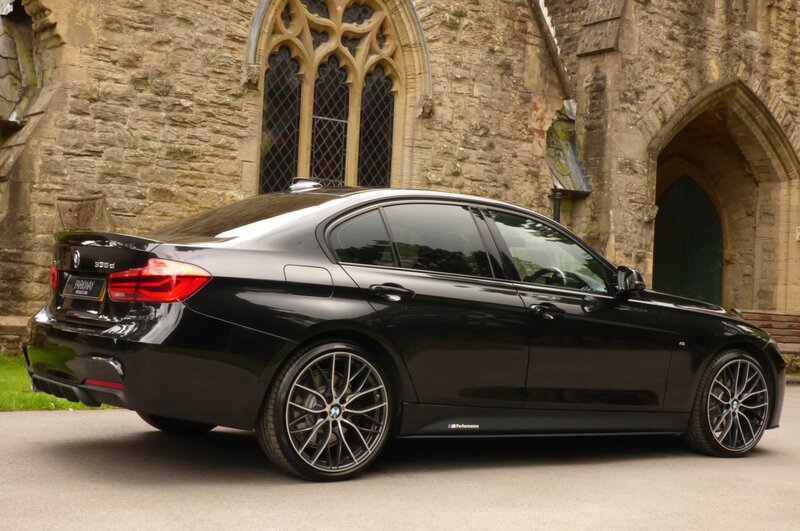 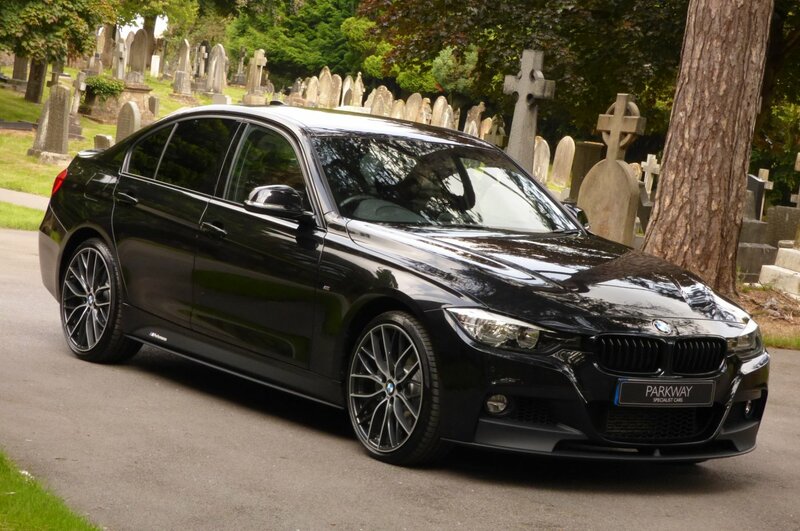 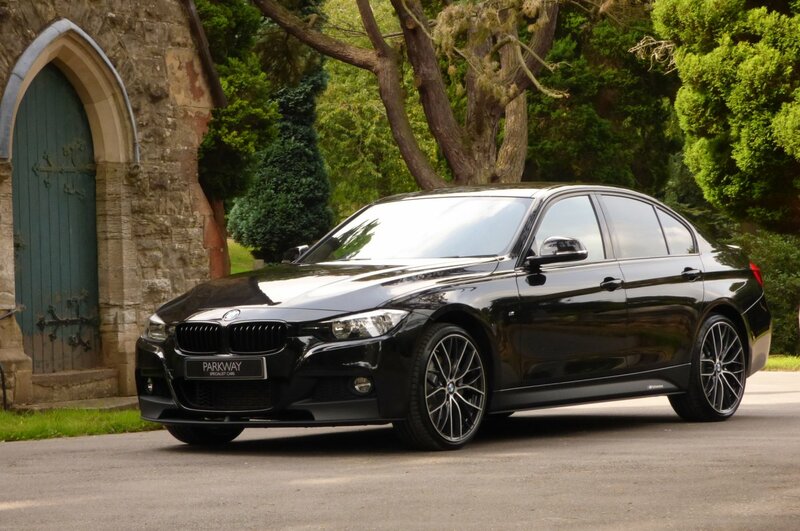 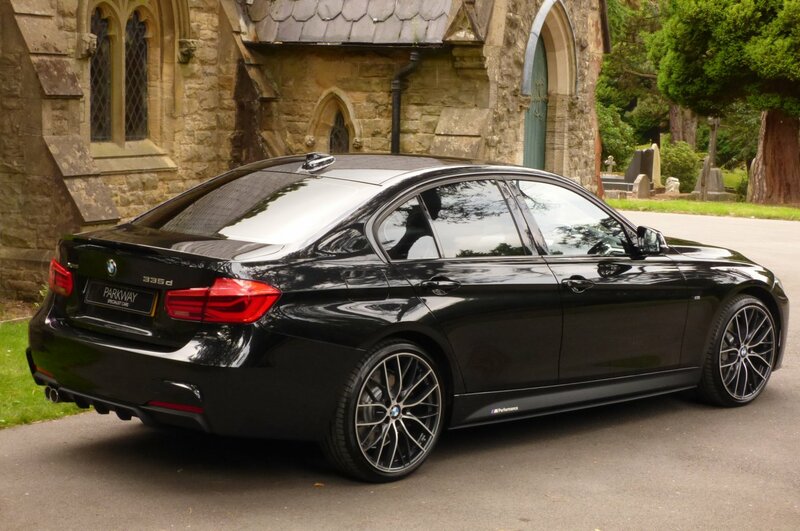 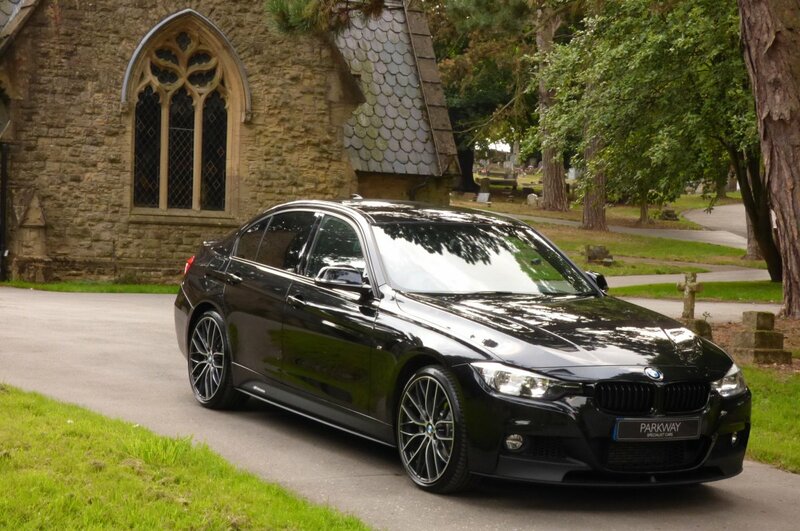 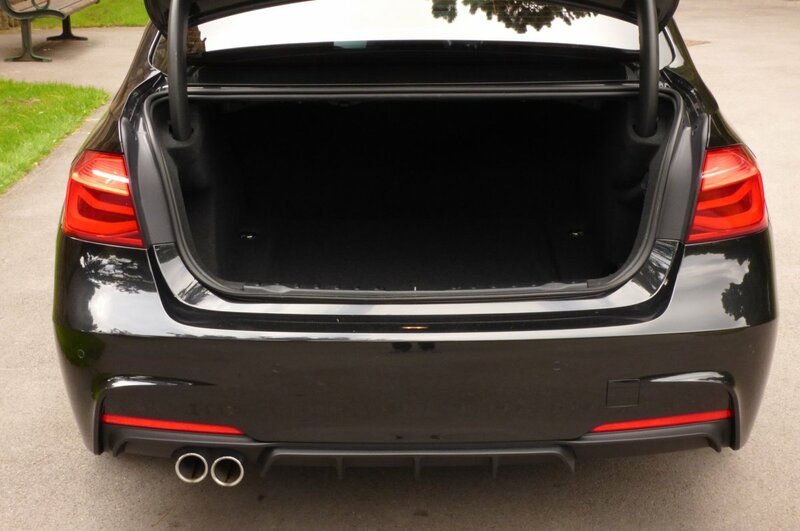 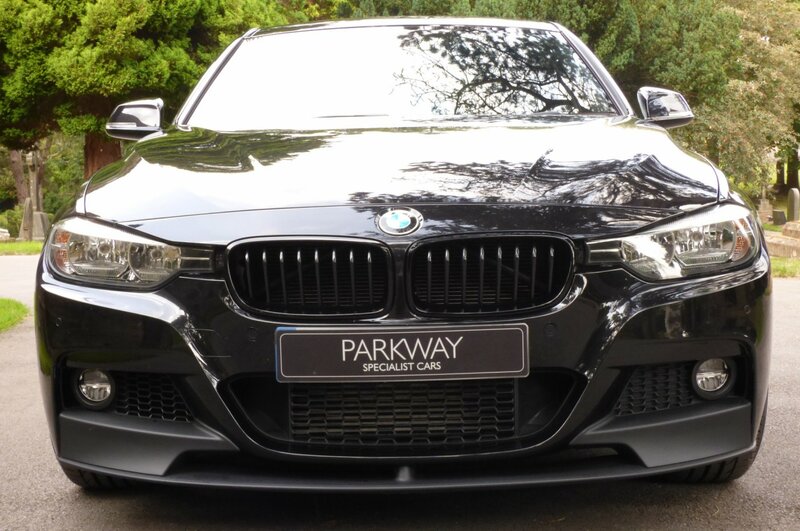 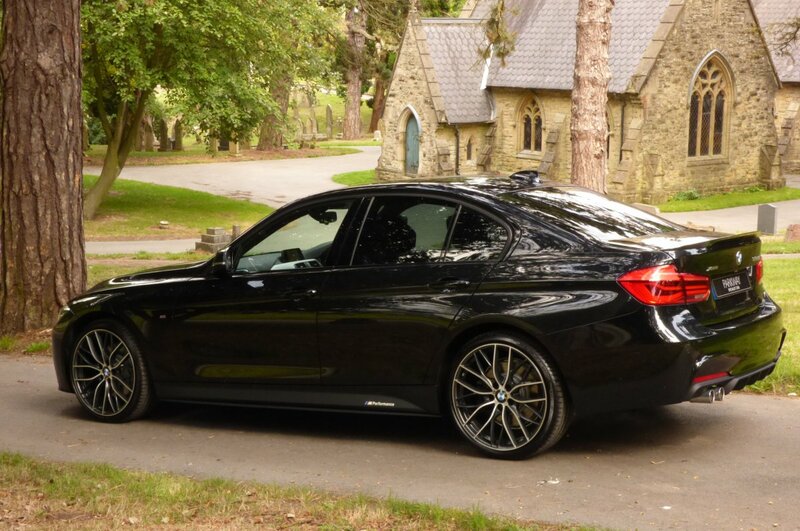 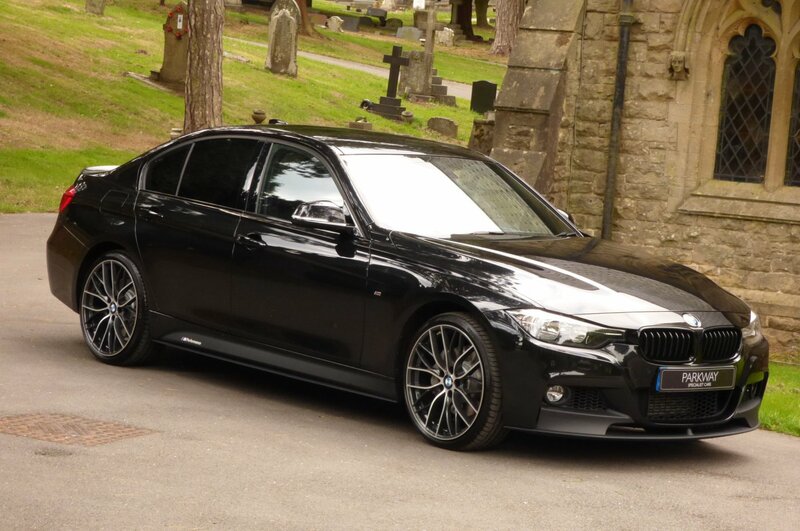 This Lovely Example Comes With Excellent BMW Options To Include Unmarked Diamond Turned 20" 405m Design Multi Spoke Alloy Wheels, Blackened Sport Side Sills Embossed With M Performance, Bright Silver BMW Embossed Brake Calipers, Xenon Headlights, Sun Protection Privacy Glass, Colour Coded Roof Mounted Shark Fin, Carbon Fibre Rear Boot Spoiler, Daytime Running Lights, Gloss Black Front Kidney Grilles, Stop/Start Function, Rear Child Isofix Seating, Dual Zone Climate Control, BMW Trip Computer, Rain & Light Packs, Cruise Control, Bluetooth Phone Preparation, Six Disc CD System, DAB Digital Radio, Front And Rear Park Distance Control, Full Colour Information Screen With Satellite Navigation System, Electric Windows & Mirrors, Push Button Start, AUX Input, BMW Sports Display System, Remote Central Locking With Alarm, BMW M Sports Package, Interior Light Package, BMW M Dynamics Package And So Much More. 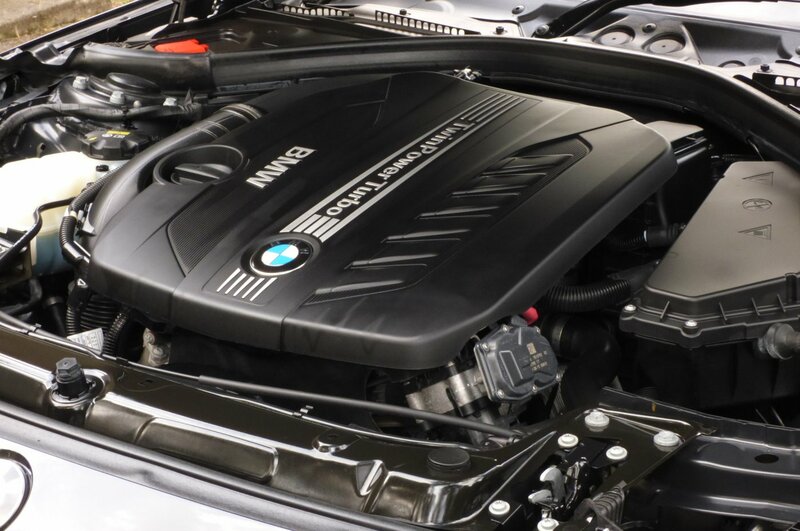 Presented With The Entire Booklet Pack Set, A Fully Cleared Hpi Report And The Entire Key Set. 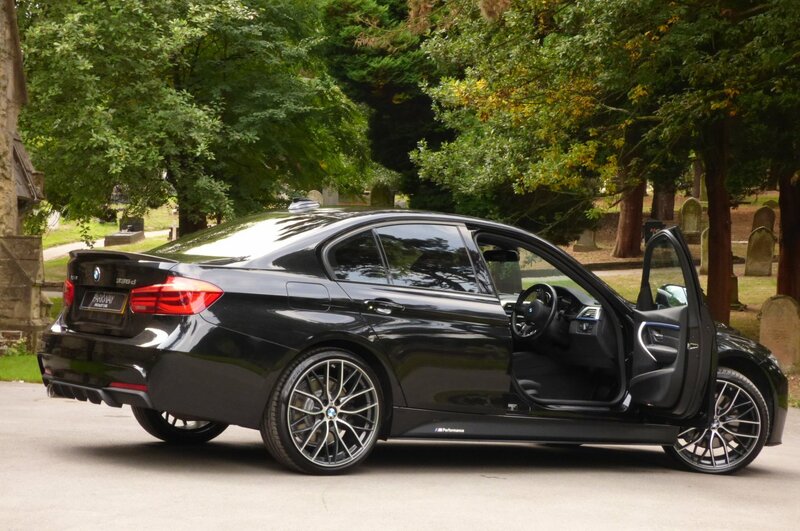 Really What More Could You Wish For?